Otoplasty (also called ear pinning surgery) is a surgical procedure to change the size, shape, or position of the ears. This surgery is most commonly performed to set back ears that sit out too far from the side of the head - called prominent ears. While ears are not typically a major focal point of the face, long-term dissatisfaction about the appearance of ears can lower people’s self esteem and heighten their self-consciousness. A lack of folding along the antihelix, which results in the upper portion of the ear to strangely tilt out from the side of the head. Otoplasty can be done at any age after the ears have reached their full size, usually after age 5. After years of teasing or feeling self-conscious, many adults also have this surgical ear pinning procedure. Children and adults who have Otoplasty surgery feel that their ears protrude in a significant manner. Ear pinning surgery places ears in a position that is more harmonious and in balance with your face. Otoplasty surgery won't alter your ability to hear or change the location of your ears. It is important to note that to optimize symmetry, Otoplasty is typically done on both ears. A specialist Cosmetic Surgeon should perform an Otoplasty. The surgery is usually performed under general anaesthetic as day surgery in hospital. Most procedures take between 1-2 hours. The specific surgical technique that your Cosmetic Surgeon uses will depend on the specific factors associated with your ears. Because asymmetry is common and ear shape is variable, technically, Otoplasty surgery requires a great attention to detail by the Surgeon. Some of these procedures can be complex, especially if part of an ear is missing or didn’t form properly. Most Otoplasty operations make an incision on the back of the ear, through which the cartilage is accessed. The cartilage is scored to weaken it, sometimes pieces of it are removed, or it is stitched (sutured) into a new shape. Then the incision is closed with dissolving stitches. In some cases, to correct large or prominent ears, a small amount of cartilage is removed from the bowl of the ear. This is known as ‘conchal fossa reduction’ and moves the entire ear to sit closer towards the head. 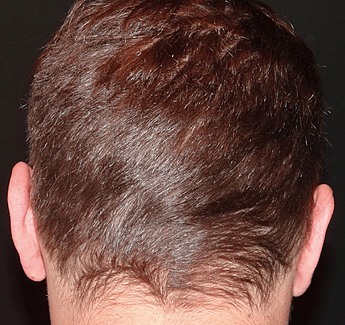 Usually, a bulky dressing is placed around the ear to put light pressure on it. This dressing minimises the risk of bleeding occurring under the skin, and it helps hold the shape of the new ear. It also pads the ear, which makes it more comfortable for the patient just after surgery. Bruising and swelling discomfort can be controlled with oral pain medication. This will subside over a few weeks. Ear surgery is also called Otoplasty or ear pinning. This external ear surgery is usually performed to reduce ear prominence by moving them closer to the head. Otoplasty can be done at any age after the ears have reached their full size, usually after age 5. After surgery, a padded dressing and head bandage is used. Most patients will need to wear the dressing and head bandage for at least a week. Post-surgery, the treated area will be bruised and swollen. You will see changes to the areas straight away but the bruising and swelling can take weeks to resolve. Depending on the size of the surgery, it is best to take one week off work. Children will need to take 2 weeks off school, with 4 weeks off contact sports. What are the risks and complications of Otoplasty surgery? Overcorrection: Otoplasty can create unnatural contours that make ears appear to be pinned back. Problems with stitches: The dissolvable stitches used to secure your ear's new shape may work their way to the surface of the skin and have to be removed. This can cause inflammation of the affected skin. Swelling and bruising is normal following Otoplasty surgery. This will take a few weeks to resolve. To protect your ears during early recovery, you will be advised to wear a wide headband over your ears when you sleep. It is also important to avoid strenuous exercise and heavy lifting for at least 3 to 4 weeks. It is important to note that there will always be some throbbing pain in the ears after ear pinning surgery. This is similar to an infected or traumatised finger. To minimise pain and help reduce swelling, it is important to lie with your head elevated or propped up in bed with at least three pillows so your the head is higher than your chest. Any discomfort you experience after Otoplasty surgery is usually treated with simple pain medications. 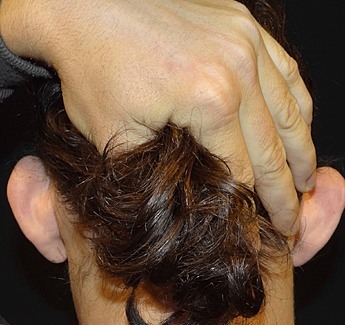 The scars you have after Otoplasty surgery will generally be hidden in the crease where your ear is attached to your scalp (the post-auricular sulcus area). This scarring reduces over several weeks and are typically minimal to nearly invisible for many patients. Discuss your expectations of surgery, including what you hope to look like after the procedure. So you can make an informed decision, your elected Cosmetic Surgeon will discuss the possible risks associated with Otoplasty. Although the majority of patients do not experience these complications, it’s important to understand how they can be managed in the event that they occur. I can not express my gratitude for Dr Watts and his team . From the care and kindness from the front desk to the considerate and respectful manner in which he dealt with my 11 year old,to the magnificent end result. My daughter had two very protruding ears which was impacting on her self esteem. She has started high school this year and had previously endured comments by peers about how much her ears poked out. We decided it was time to get this issue fixed prior to starting high school. We were highly recommended Dr Watts so we went to see him in his rooms in Swanbourne. The care begins at the front desk where you are welcomed by Ashe. She is a beautiful person and showed such care and consideration toward my daughter. We then saw Dr Watts who addressed Olivia with respect, kindness and care and explained very carefully, to her, what the procedure entailed, what the after care would be and what the end result will look like. No pressure was put on us to proceed and we made the decision completely about Olivia's needs. The follow up was also excellent and they were there for any questions that needed to be answered. Nothing was too hard which is amazingly professional for someone who is so busy. The end result is amazing. Her ears look fantastic and her self esteem has improved ten fold. Thank you to Dr Watts . We will be forever grateful for the amazing care and work we received. Earlobe Reduction Advice - Help Please!